On December 14 to 15, the fourteenth meeting of Shanghai Cooperation Organization Member States Prime Ministers Council held in Zhengzhou, Henan Province. This meeting is an important diplomatic activity of China at home this year, is also the important meeting of SCO following the Ufa summit. The main topic for the conference is " Research the situation, prospects and development measures within the framework of the SCO on trade, investment, finance, transport and cultural cooperation". Shanghai Cooperation Organization, referred to as the SCO, it is a permanent governmental international organization of the Republic of Kazakhstan, the People's Republic of China, the Kyrgyz Republic, the Russian Federation, Tajikistan and Uzbekistan announced establishment on June 15, 2001 in Shanghai, China. Over the last decade, in the rapid development of economic and information globalization, the SCO Development Mechanism is more mature, cooperation between Member States also increasingly close, economic and trade Frequent contacts. As the Asia mining machinery production and export base with size and strength, the typical representative of "Made in China", Liming Heavy Industry with Russia, Kazakhstan, Kyrgyzstan, Uzbekistan has established good trade relations, transported thousands of high-end crushers and grinding mills to them to meet the needs of the local infrastructure and economic production. 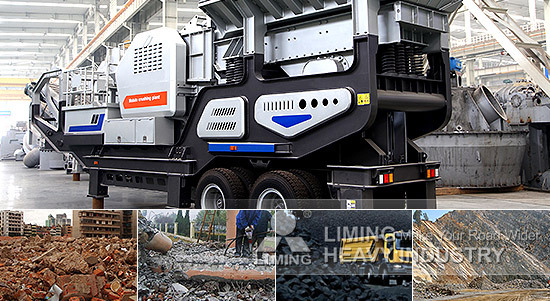 Liming Heavy Industry is a global leader specializing in the development, manufacture and sale of large-scale crushers and industrial grinding mill equipment, located in the historic city of Central China - Zhengzhou. Its Jaw Crusher, Hydraulic Cone Crusher, Impact Crusher, Mobile Crusher, VSI Crusher, LM Vertical Mill, MTW European Trapezium Mill, TGM Trapezium Mill, Raymond Mill and other mining equipment showed up repeatedly in various countries Mining Exhibition, and exported to more than 120 countries and regions. Through the SCO meeting, we believe Liming Heavy Industry with the SCO member states to establish a more convenient, higher level of cooperation, mutual benefit and win, create a better future!